The weather is changing in Swarthmore. As the temperatures rise and the school year comes to a close, most of us are in a holiday mood – excited to reclaim our children and enjoy the great outdoors! 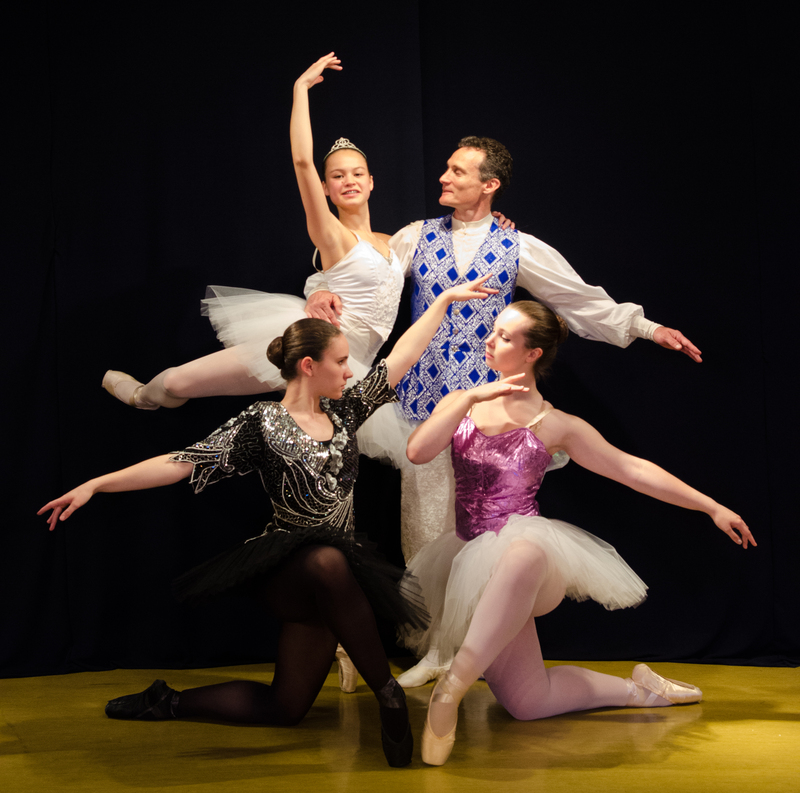 While the rest of Swarthmore was enjoying the Farmer’s Market and the fireworks this spring, the cast and crew of the Lori Ardis Ballet Company dedicated themselves to three months of indoor rehearsal and performances to bring us another exquisite ballet. The music of Tchaikovsky’s Sleeping Beauty is filled with familiar refrains. For modern audiences some of these may call to mind images of a demure Disney princess and her hapless cartoon godmothers. However, the theme of the original ballet had a lot more girl power! Conceived in collaboration between composer Peter Ilyich Tchaikovsky and choreographer Marius Petipa, the first Sleeping Beauty ballet depicted strong female characters, caught in an epic struggle between good and evil. This struggle was played out in the roles of the Lilac Fairy (originally created for Petipa’s daughter, Marie) and the wicked fairy Carabosse. Lori Ardis and Amber Flynn have created a Sleeping Beauty that is true to the dramatic original, but with plenty of the liveliness and humor we have come to expect from an Ardis production. As the lights dimmed for Saturday night’s performance, Mrs. Ardis came out to tell the audience a bit of the story so that even the youngest members of the audience could understand what they were about to watch. Then the performance began with the celebration of the birth of the princess, Aurora. Six fairies arrived to bestow gifts upon the princess. Ardis and Flynn chroreograph their ballets on their dancers – meaning that each role is uniquely created to exploit the skills of the dancer performing it. This was particularly evident in the gift-giving scene. All six fairies were phenomenal – from the Canari Fairy, danced by Rose Hodges with winsome enthusiasm, to the Violente danced with flair by Emilia Santianni. Then, just as the Lilac Fairy (brought to life by the expressive and lovely Arbour Guthrie) was preparing to bestow her gift on the princess, Anna Morreale’s Carabosse arrived with her posse of dark helpers to ruin the fun! If you saw Morreale play the innocent Clara in LABC’s The Nutcracker, you will fall out of your seat when you see her as Carabosse. Morreale is cool and deliberate, with technique that puts her so much in control you won’t hear her pointes tap the Marley. Ardis and Flynn moved Carabosse powerfully on a diagonal trajectory that used every inch of the stage to great effect. The next scene opens on Aurora’s sixteenth birthday. Dancers with garlands of flowers brought the most familiar theme of the ballet to life. Then out came Aurora. Each time I am about to watch Anna Si perform, I tell myself that my memory is exaggerating how accomplished she is. But of course, she is always even more exquisite than I remembered. Si’s Aurora alternates between giggly young girl and elegant princess in a way that should feel true to anyone who has ever been or known a sixteen year-old. Each dancer in the party scene brought something wonderful to the table. Like always, I was impressed to see so much action on a small stage. That would not have been possible without the ensemble working seamlessly together. The first act ended with a prick on the finger and the royal family going to sleep. The bedroom set is elaborate, with curtained walls that cleverly follow the sight lines of the flats, making the main stage and upper stage feel like one space. Act two opened on the Prince (Donn Guthrie) dreaming of Aurora, and being woken by the Lilac fairy, who brings him to her and explains in droll pantomime how to wake her. The princess is awoken with a kiss, and then on to the third and final act, the wedding! The wedding is celebrated first with jewel tones and then with fairy tale characters, all gorgeously costumed. Mia Davis and Kevin Gardner as Gold, and the dashing Will McCullough and Emilia Santianni as Puss in Boots & the White Cat were standouts, but truly, from the top of the line down to the littlest Hop-o’-My-Thumb dancer (one of whom is my own child, read more about that HERE) every company member came to the stage with enthusiasm and danced with precision. In the final pas de deux, Aurora and her Prince dazzled us with a series of stunning lifts and two no-handed fish (deceptively difficult lifts which required as much core strength from Si as overall power from Guthrie). Naturally the audience went wild. As the entire ensemble came out for their curtain call we clapped until our hands hurt. As if perhaps we would rather dream away one hundred years with them, than go back out into the beautiful spring night. Anna Si (Aurora) is only sixteen years old herself – the exact age of the character she plays! Anna Morreale (Carabosse) is also sixteen – her birthday is just two weeks from Si’s! And Arbour Guthrie (the Lilac Fairy) is only seventeen. The level of professionalism on the stage as a whole defies the age of the younger performers. Only the gleaming of a few sets of braces serves to remind us! The youngest cast member is six years old. There are EIGHT families with more than one family member performing in the ballet! What is learning at Swarthmore Ballet Theatre like? If you know me, then you know our whole family is in a state of nearly permanent excitement because our oldest is performing in Sleeping Beauty! Friends have had so many questions. I thought I would answer some of them here for you, in case you were too shy to ask! What do they have to wear to class? Do you have to do something crazy with their hair? Is the class very strict? Children are expected to stay quiet and on task. This is easy for them to do because the teacher is always happy to see them and keeps them very busy doing work that they enjoy. There are no raised voices or unhappy words – the children are motivated to do their best because of the teacher’s seemingly boundless enthusiasm for their efforts, and their own pride in their work. (Yes, even the four year olds.) Most of that work is learning actual ballet terms and movements. (You can imagine our shock when French words started spilling out of our children’s mouths last year after their second class!) 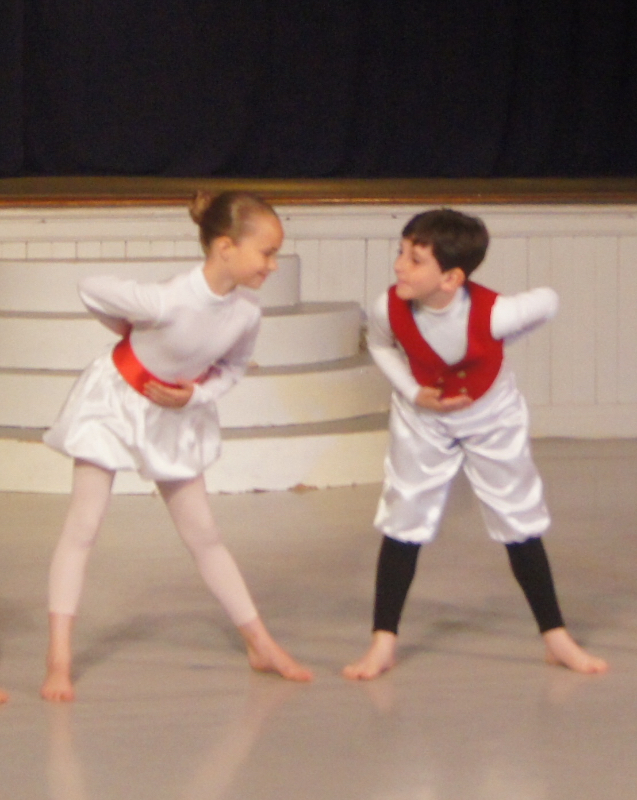 They also learn the stories of the great ballets and learn to appreciate and recognize the music of the composers. You will get how amazing that is when you have classical music playing and a little voice says, “The Firebird by Stravinsky!” Consensus among most of the parents I’ve talked to is that the kids all seem to be proud that so much is expected of them. What about recitals and costumes? Do they charge extra for that? If my child is in the Ballet, how much do I pay for costumes? Even the youngest dancers enjoy rehearsals. And they earn several free classes in exchange for performing! Dancers are given their costumes and many hours of rehearsal, which are an invaluable learning experience. You will not pay for any of it!!! As a matter of fact, your dancer will be given several weeks of FREE CLASSES (not rehearsals) during the production, when the Ballet School is on hiatus. My son was very excited to realize that performing in the Ballet was the equivalent of his first job, since he was going to be attending dance classes that he earned by performing! Does your child get tired of rehearsing? My son had a blast in rehearsals. The ballets are choreographed on the dancers, which means that Mrs. Ardis and Mrs Flynn spend time figuring out what the dancers can do and helping them develop skills that will allow them to add complexity to the dance. The Hop-o’-My-Thumb dancers all worked very hard on Russian splits. Because they worked hard, this difficult jump was added to their dance! Rehearsals were short in the beginning and when they were longer nearer the time of performances, the little dancers were permitted to watch the older dancers rehearse, which they really seemed to enjoy. Don’t I have to take my children to Philly if I want them to get professional training? My oldest is only eight but I have been coming to watch productions since before he began taking classes. I wondered how one teacher at a small local ballet school could get such a large number of students to this level by herself. As I learned, Mrs. Ardis, herself a former professional ballet dancer, teaches, AND she brings in principal dancers from the Pennsylvania Ballet to teach classes all year long. As a matter of fact, there is a summer intensive with a few available spots left. I wrote a little about last year’s summer intensive here. Last year, Amy Aldridge taught the students a dance that she performed at the International Dance Festival at Vail, Colorado, immediately after leaving Swarthmore. Rumor has it that Amy so loved teaching the SBT dancers that she cried when she had to leave and gave a “group hug”. She is teaching again this summer July 6 through July 10. 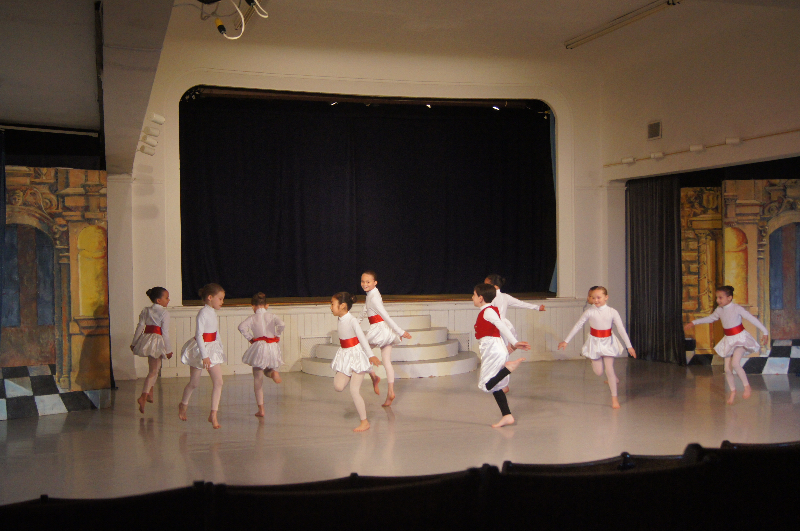 Even if your dancer is enrolled at another ballet school, they can audition to attend. Check the school website to learn more.